Arnold Lawyers understands that once a relationship has broken down it can be a highly emotional and stressful time for the parties involved and during this time you need advice, guidance and assistance in an easy to understand and compassionate way. Arnold Lawyers is committed to working with you to guide you through this emotional and most difficult time of your life. We do not believe that in these types of matter there can be “winners” and “losers”. Rather we believe in ensuring that each person receives what he or she is entitled to in the most cost effective and stress free way. We can assist you in determining what your entitlements should be, negotiating and reaching a suitable property settlement and formalising such settlement via either Terms of Settlement filed in the Court or a Binding Financial Agreement. 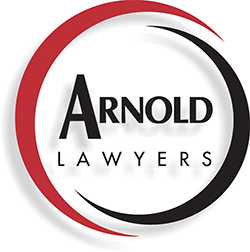 The Arnold Lawyers’ Family Law staff are highly experienced in property settlement matters and we invite you to contact our office to make a convenient appointment time to discuss your entitlements and/or the process for a property settlement.